These words that revealed Dubai as the winner of the bid for Expo 2020 have been immortalized in the pages of history, and have paved the path for an economic uprisal in a region that is quickly advancing to become one of the cornerstones of the world. This was not accomplished due to a trend. In 2012 the UAE economy had improved by 4.75%, and by November 2013 when Dubai was officially selected as the host, the UAE’s real gross domestic product (GDP) was valued at AED 338 billion, 30% of which was accounted for by Dubai alone. 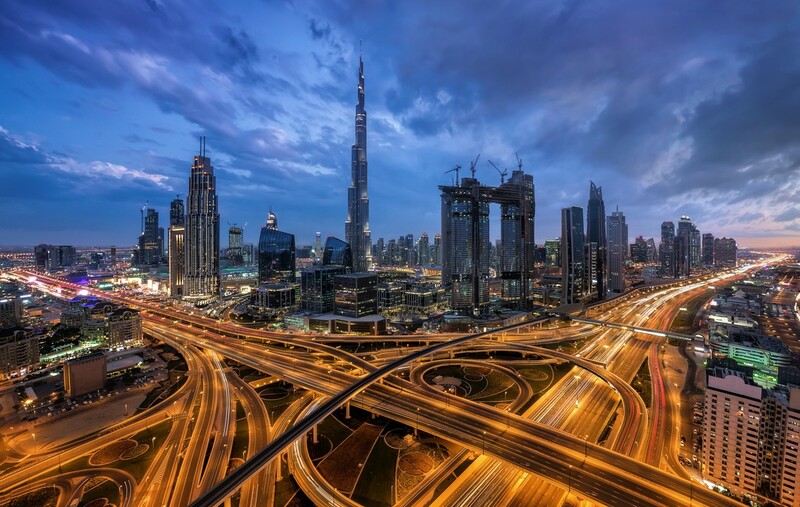 Now, with only two more years to go, the UAE’s economy is consistently growing and is currently ranked the seventh most competitive economy in the world. Since winning the bid, Dubai has been proactive in maintaining its global standing as a hub for innovation and progress by establishing a Space Agency, initiating the Dubai Plan 2021 development strategy to reinforce its positioning as a global center and destination across a number of fields, and by promising to have 25% of its buildings 3D printed by 2030. These efforts are all in line with His Highness Sheikh Mohammed Bin Rashid Al Maktoum’s vision to make Dubai the primary destination for visitors, skilled individuals, and investors. But a nation does not simply adapt overnight. A clear mission was mandated and adhered to, and with the guidance of Sheikh Mohammed and the passion and tireless efforts of the people striving to lift Dubai to the highest grounds of cultural advancements, Dubai is at the pinnacle of global achievements. This is a growth that we at MAG Lifestyle Development envisioned and anticipated. When we launched in 1978, Dubai’s progress was nascent and many would have easily mistaken its advancement to be circumstantial, or worse yet, a stroke of luck. Equipped with the benefit of foresight and the expertise to understand what future residents would be looking for, we based our core mission around the provision of wellbeing and happiness to the community and its people, and in the process, changed the perception of the regional real estate industry by urging residents, visitors and customers to expect more. As Dubai progresses and advances, so should we as people and as business owners. At MAG Lifestyle Development we do so by challenging ourselves at every corner, and by setting the bar high for ourselves. In this increasingly competitive industry, we recognise that each of our developments needs to reflect current climates and cater to customers. Guidance, inspiration and leadership are what helped us attain the position we are in today, and it is these same pillars that unraveled the UAE to the world as a land of hope, promise, and fulfillment. How long did it take for the UAE to become the nation that it is today, the pillar of regional economic growth, the mantle at the heart of innovation and progress? 47 years. Now imagine with me what can be achieved in the next 50.